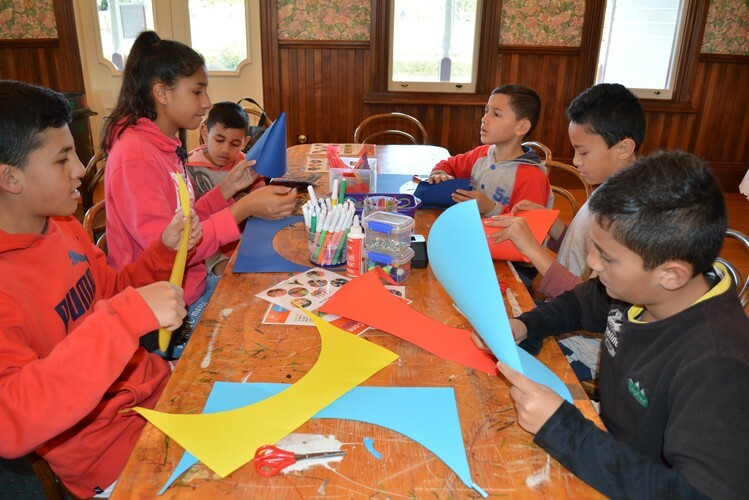 These school holidays the team from Rotorua Museum are based at The Arts Village creating Matariki themed crafts. Bring the whānau down to these fun sessions making kites and getting creative with colouring. These free crafts will be available from Monday 9 until Friday 13 July 2018 and again from Monday 16 until Friday 20 July 2018, 10am until 2pm each day. Matariki is the Māori name for the star cluster known as Pleiades. When Matariki reappears in our dawn skies, around June or July each year, it heralds the start of Te Tau Hou Māori – the Māori New Year. Matariki is a time to gather with family and friends to reflect on the past, celebrate the present, and plan for the future. You might like to grab one of our Matariki Activity Trails that will have you searching Government Gardens and learning some cool facts about the Māori New Year – Matariki. Activity trails will be available from Saturday 7 July and can be collected from Rotorua iSite (Fenton Street) or from The Arts Village during drop-in crafts. Entries need to be in by 10am on Monday 22 July for the prize draw. For further information contact Rotorua Museum, phone 07 351 8055 or email rotorua.museum@rotorualc.nz.